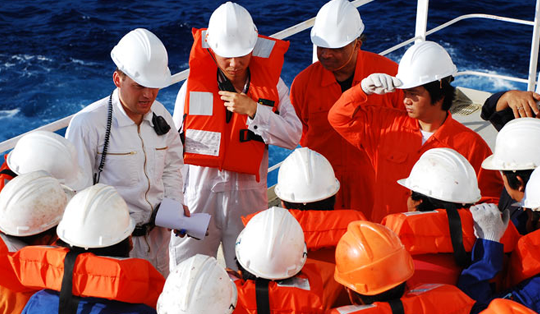 Bridgeview Maritime Crew Management Service :- We are providing the high quality of skilled seafarers, which the Marine industry requires and expects. We have the best vessels and excellent career prospects for you. We are providing crew for Mainfleet,Offshore,Tanker,Crew Boat,TUG vessel. Minimum Requirements for ratings for our vessels : • Must be in possession of valid Indian CDC, Passport, & PAN CARD • Must be in possession of INDOS No • Must have completed GP Rating course (for the new seamen as per DGS rule) with four basic modular courses required for Seamen from DG approved institutes. All ratings should be in possession of following four mandatory Certificates: (i) Fire Prevention & Fire Fighting (ii) Personal survival Techniques (iii) Elementary First Aid (iv) Personal Safety & Social Responsibilities. • Must have completed Oil Tanker Familiarisation course from DG approved institutes & should be in possession of certificates/DG endorsements as per DG rules. • Must have completed specilised vessel familiarisation course from DG approved institutes & should be in possession of certificates/DG endorsements as per DG rules for the vessels type for which vacancies exist. • Must have at least six months of on board experience. • Must be reported well from his previous vessels/ owners.Must have served on board vessels at least for six months in last three years. • Must be medically fit for sea service as per present medical rules. • Must have at least six months on board rank experience. • Must have at least one year of service balance on the day of selection & must have all documents valid for at least one year from day of selection. • Must be in possession of all required valid certificates for the rank. Selection Procedure: •On selection day at given time all applicants for general roster ratings muster/gather in our selection hall. •Designated officers from crew section of BMPL are present in crew selection hall for selecting crew as per requirements. •When rank experienced persons are not available then best suitable candidates are selected. •A person who is unemployed for maximum number of period is given first chance of employment in the rank, provided he meets requirement of Minimum requirements for the rank, type of vessels, & other conditions. •After selection all documents are verified and if found ok then seaman is sent for medical examination. After medical examination if medically fit ratings are allotted vessels and subsequently posted on vessels subject to completion of formalities (i.e. visa, verification of documents, port formalities etc).